Jan 31: (Tru) Book Bin, Corvallis, 1-2 pm. March 21, Saturday: (Tru) Cedar Library 3-5 pm. May 30, Sat, 4-6 pm: Wilsonville Arts Festival, Town Center Park, 29600 SW Park Place; (True West, with Wes and Paul Clements): Music of Oregon Trail plus an Old-Time Dance. May 31, Sun, 3-5 pm: Wilsonville Arts Festival, Town Center Park, 29600 SW Park Place; (True West, with Wes and Paul Clements): Music of Oregon Trail plus an Old-Time Dance. 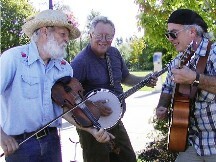 July 23-26 (Tru) 12 presentations, Music of the Oregon Trail, at the Oregon Trail Interpretive Center near Baker City. 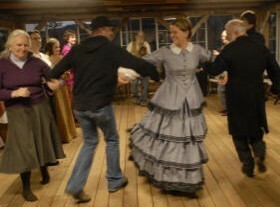 Oct 24, Sat: Monmouth, cider-squeezing, bluegrass party, and old-time dance, Tru calling. Gragg farm.